I have always exercised a lot. At least 6 days a week I was spinning, running and walking. I liked the excitement of cardio and I thought that that was all I needed but I wasn’t seeing any changes to my body. After aerobic workouts I would go to Shore Results for a smoothie and I would peek at the people lifting weights. I was intimidated and thought I was too old at 57 to start. I thought that weight lifting wasn’t for me. The times I had attempted it in the past, I didn’t do it properly so I gave up. But nonetheless I was intrigued and decided to sign up for a 2 week trial at Shore Results. I did have serious reservations though that I wouldn’t be able to handle it or stick with it. After two weeks I was hooked! First the trainers asked me what my goals were. What was I looking to change? What did I want to accomplish? I wanted to lower my BMI (Body Mass Indicator), lose 10 pounds and improve my posture. After going through a series of tests, my trainers designed a detailed program to help me achieve my goals. I saw results in the first month. I learned so much and I truly feel that everyone at Shore Results…the other members, myself and the trainers are a team. Another key member of my health and fitness team is Dr. Jay Mazella. I had been seeing Dr. Jay for regular chiropractic treatments for the past four years but I didn’t think to tell him about the knee pain I was experiencing. At first the pain wasn’t so bad so I wasn’t telling anybody about it. I thought it would just work itself out. Then the pain started getting much worse. My knee pain was really bad when I was driving or sleeping. I also was doing a a lot of flying and my knee would just swell up and I would be in agony. The pain and fear of not being able to workout or just get around finally drove me to say something to Dr. Jay and that is when it all kicked into high gear. Dr. Jay asked a lot of questions and recommended I get an MRI and sure enough it revealed that I had a torn meniscus. Dr. Jay scheduled me for physical therapy and after 6 weeks I was pain free. Besides the physical therapy, my Shore Results trainer Brian Bott would consult with Dr. Jay and adjust my workout programs around my knee. I was just amazed at how they all worked like a unit with emails and phone calls going back and forth to help get me healthy. I am so happy to be pain free and I didn’t have to have surgery and I didn’t have to stop working out. I realized that chiropractic work isn’t just about your back. It’s about the your whole body and how everything is connected. Now I love swinging a kettle bell and one of my main accomplishments that I never thought I could do are dead lifts. Not only am I doing dead lifts but I’ve been steadily adding weight.  The energy at Eastpointe Health & Fitness is so positive and motivating and it’s exciting to see my results each month. I can’t wait to go everyday. I am so thankful to have Dr. Jay, my trainers, the physical therapists and everyone at Eastpointe Health & Fitness on my team. I feel so energized and fit and healthy and I owe it all to this special group of people. Thank you.